We are young sports fans, who’ve been intrigued by the idea of a sports blog. 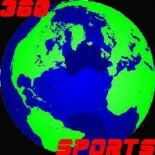 You can check out some of our old articles at therdsports.com and staticsportsblog.com. We’re looking for staff for our blog. In particular, somebody to run our twitter account.